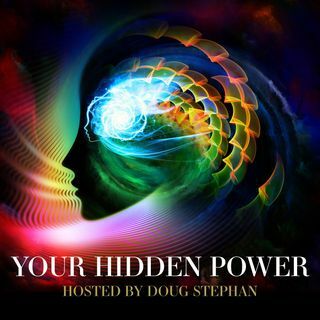 Your Hidden Power - #40 - SLEEP IN A CRYSTAL BED? WHY? WHAT IS IT? Host Doug Stephan asks Neuroscientist turned Yogi Healer, Samaya Linn http://www.crystalhealing.com how a neuroscientist can become a yogi healer. She describes how she blends the scientific, mystical and practical to empower people to unlock their inner power and heal themselves, using crystals, essential oils, Source energy, meditation and sound as her tools, and "what about that Crystal Bed?" Next, Mystifier Uri Geller http://www.urigeller.com reveals his secret life, as a singer, ... See More and we even hear a sample. Psychic Scout, Mary O'Maley http://www.psychicscout.com explains the techniques she uses to help her clients remove their fears. Finally, Astrologer Maria Francesca Triliegi http://www.mariafrancecatriliegi.com clarifies the differences between Eastern and Western Astrology and the link between the days of the week and the signs of The Zodiac.